Former President Barack Obama traveled to Germany where he still holds some level of support. After two years in office President Trump has erased his failed policies with spectacular success. 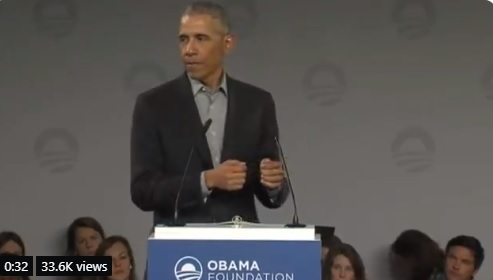 Obama shattered his record by referring to himself 392 times during his speech. Barack Obama also praised children for holding weekly protests against global warming junk science.